I hope your week is going well. It’s hump day and I know we are all looking forward to the weekend. I went to see 2 movies this past weekend, Romeo Akbar Walter and The Best of Enemies. If you read any of my reviews before you know that I am a Bollywood fan. I have actually been a fan for almost 20 years. I was introduced to the movies by a student and I have been hooked every since. 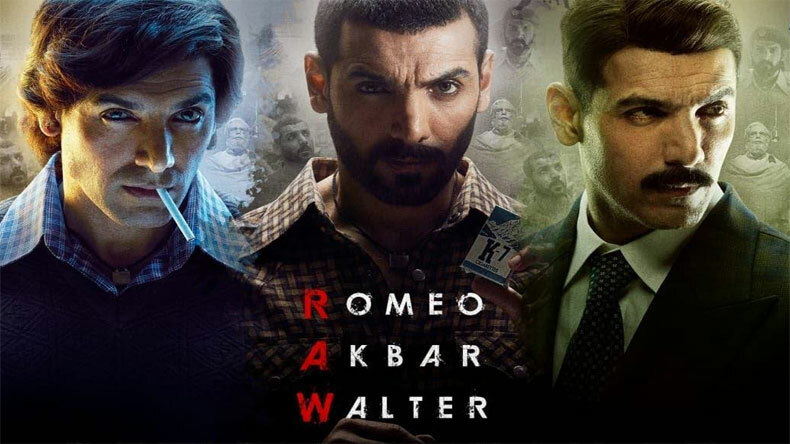 Romeo Akbar Walter (RAW) is a spy movie that starred two well know Indian actors, John Abraham and Jackie Shroff. John Abrham was his usual stoic character and Jackie Shroff as cool as ice. It was a very interesting movie with several twists and turns. I was a bit confused at the beginning. I knew that Abraham (Romeo) was supposed to be the spy but he didn’t seem his cool calculating self at the beginning. Just an average guy. That quickly changes as he decides to give his life for his country. All of that being said, I must say I was enthralled by this movie. Waiting to see what happens next. It was long, but I didn’t notice. Nor could I guess the plot from the 1st half. To be honest, no matter how much I like a movie I usually can predict the ending. Some are just so predictable. RAW is however, a very male oriented film. The women in the film had very small parts. Of course when I thought about it the world was still very male oriented in 1971 and so was India and Pakistan. Even though India’s Prime Minister was a women, that seems to have done little to change the male dominated India at the time. It ‘s just my opinion. Still, the movie seems quite plausible. If you’re going to see this movie for action, this isn’t the one. It opens with an action sequence but that’s all for a while. This movie is more of a drama with action thrown in. But not a lot, more like sprinkled in the appropriate places. I went because I thought it was an action movie and I like the main actors. I have seen a few of the action movies that Abraham starred in and love it. I thought Romeo Akbar Walter was going to be similar. So not an action, but a good drama. I give Romeo Akbar Walter 🤩🤩🤩 and 1/2 starry eyes emojis. The second movie I saw this past weekend was ‘The Best of Enemies.’ It starred Taraji P. Henson and Sam Rockwell. I have to say, you go Taraji. She played that part. I believed she was Ann Atwater fighting for the black children in her community. I have a lot of emtions about the topice of this films so forgive me if my thoughts are all over the place. I’m having a hard time write this review. Now I must say that before going I wondered how this movie would be portrayed. Usually Black Films have to walk a tight rope of how much of the real violence to include. The main idea of the movie was how these two people fighting on different sides of the racial issue. I was going to say something else but I don’t to give away the movie. You’ll see the build to the end. The title of the movie couldn’t be any more true. You have one person Ms. Atwater fighting for her people as well as her child. On the other hand you have the head of the Klan who what put in this position to fight to keep his way of life. I must say this is the least violent civil rights story I have ever seen. I haven’t read the true story, but I’m pretty sure that this story has been made as tolerable as it could be without messing with the message. Let me know if you think differently. Anyway, it appeared that the director and writer didn’t want to trigger too many negative emotions in reference to the actions of the Klan. One of the problems I do have with the film is that it’s mostly about CP Ellis’ trasition from the head of his clan chapter to a more honorable human being. We see little of Ms. Atwater and how she pushed for the black community. Little is seen of the interaction between town members, black and white. We do get the hint that blacks and whites live in different areas. Yet, we don’t have an idea of the tension or emotion of the town. We do know that most everything in the town is intergrated but the schools. The movie is centered around the schools. Still, it brings to the surface issues that were very real in the mid 20th century. Unfortunately, many of the issues that are brought to light for this little town in North Carolina is still very much an issue today. Inspite of schools being desegregated they are still very much segregated. Of course that has to do with the way the districts are set up for schools and voting. Communities designed in the 1960’s to the 1980’s to keep out people of color still successfully do so with exception to very few. The movie ‘The Best of Enemies’ is an interesting movie. I give it 🤩🤩🤩. I’d like to give it more mainly because of Taraji. Well, I hope I’ve helped you decide what movie to see or not see this weekend. If not the late show, they are definitely great matinee movies. I will have a review for Little, Shazam, and possibly Hellboy for next Wednesday. So make sure to subscribe so you know when I post the review. Thanks for reading. Saturday is my book review. I will continue ‘The World of Dreamers’ the following Saturday.